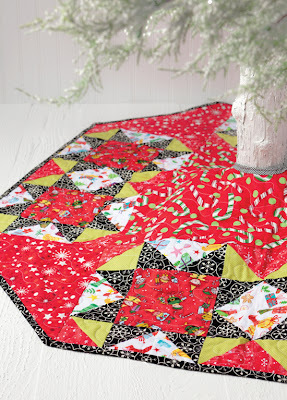 Thanks for heading over to the Jolly Jabber continuing the Sew Merry and Bright book tour! As we round out the Christmas in July movement, it’s only fitting that we are featuring a not so traditional holiday book in the not so traditional holiday month. Linda Lum DeBono’s book, Sew Merry and Bright, features festive patterns for the Christmas lover, with a bright and modern flair. This book takes you step by step to creating a home filled with Christmas cheer. From pillows to ornaments, to advent calendars and holiday quilts, this pattern book has your holiday decorating covered. Linda’s use of color is what sets her apart. She uses traditional colors in nontraditional shades, incorporating plenty of lime green, pink and turquoise. Her advent calendar features many brightly colored shapes, accompanied by a candy cane, making its purpose widely understood. 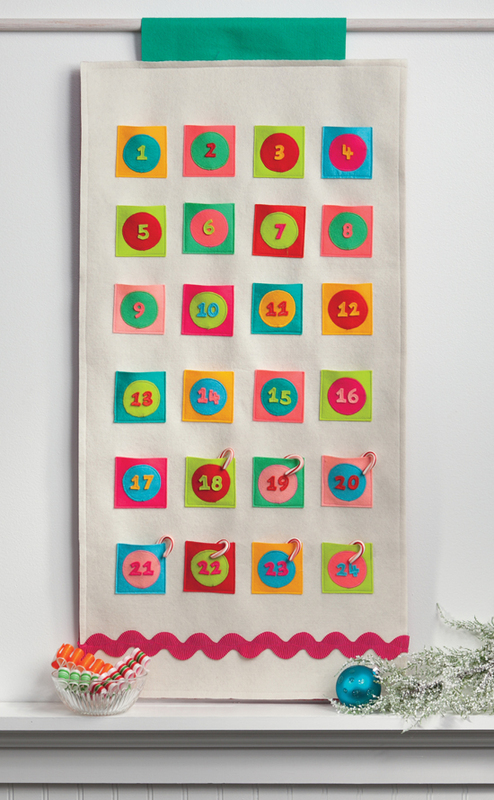 The calendar is clean and modern, yet festive and plenty cheerful. 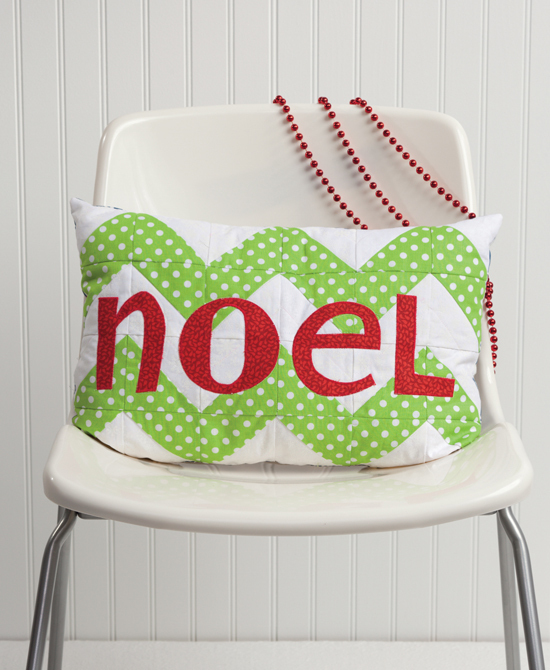 My favorite pattern featured in Sew Merry and Bright is the Noel Pillow. I love using pillows in my holiday decor, and this one stands out. 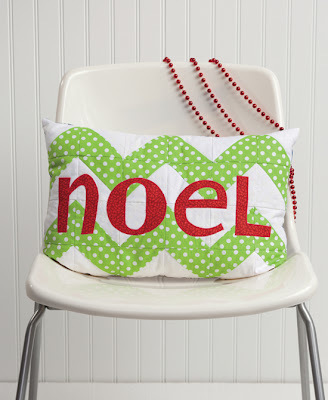 The chevron print, a popular trend right now, looks unique in combination with the lime polka dot pattern and the red noel lettering. Now that you are feeling the Christmas cheer, we are going to do a giveaway! 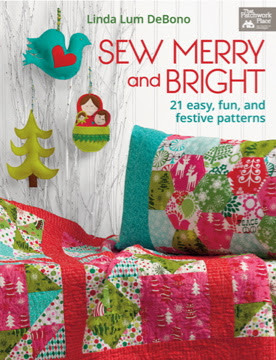 We will be giving away a signed copy of Sew Merry and Bright! Leave a comment below telling us your favorite way to decorate for the holidays. The winner will be chosen on Saturday August 4th. Good luck and Merry Christmas in July!